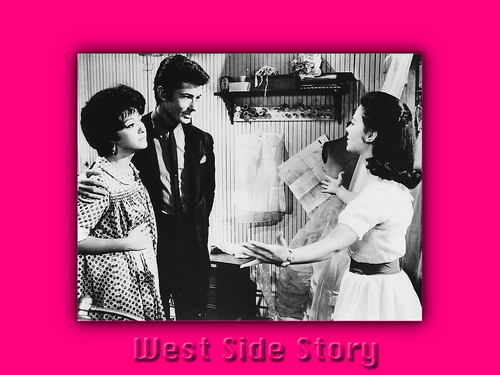 West Side Story. . HD Wallpaper and background images in the filmes clássicos club tagged: classic movies wallpaper west side story. This filmes clássicos wallpaper might contain jornal, papel, revista, tablóide, pano, tabloide, retrato, headshot, close up, and closeup.